Rangers defeat Capitals in OT! The New York Rangers rallied during overtime last night to defeat the Washington Capitals 2-1 during Game 7 of the Eastern Conference semifinals Wednesday at Madison Square Garden. The Rangers advance to the conference finals against the Tampa Bay Lightning. 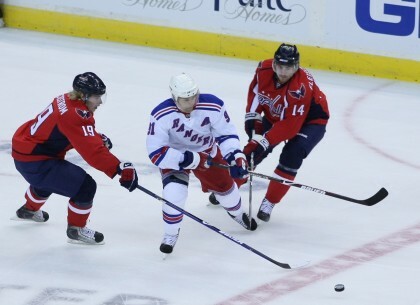 While Ranger fans, who have not seen a Stanley Cup victory since 1994, were ecstatic; Capital fans remained nonplussed at the Rangers defeat of the Capitals. Rangers fans, on the other hand, were galvanized by the win and the potential for a shot at the Stanley Cup for the first time in more than twenty years. D’ondre Lewis, an independent businessman from District Heights, Maryland, had a different perspective on the hockey games than did most Ranger fans. The Rangers will face the Tampa Bay Lightning in Game 1 of the Eastern Conference final on Saturday while Marylanders nurse their wounds.